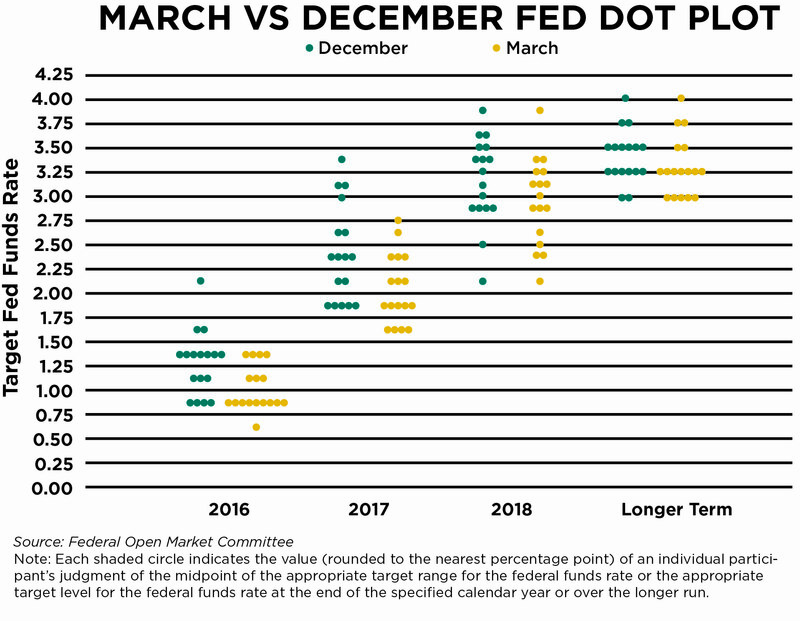 Last month, the Federal Reserve (Fed) released its monetary policy projection, commonly referred to as the “dot plot.” As expected, the median estimate for the federal funds rate decreased since the last iteration was released following the December 2015 meeting. The current median estimate suggests the benchmark interest rate will be between 0.75% – 1.00% by the end of 2016. This implies two 0.25% rate hikes will occur during the remainder of 2016. The median estimates released in December had implied four 0.25% hikes. Despite the material downward revision, the market anticipates the pace of rate hikes to be slower than the Fed expects. At the time of this writing, Fed funds futures imply the expectation of just one 0.25% hike in 2016. At CLS, we believe global, balanced, risk-budgeted ETF portfolios help investors succeed over time. 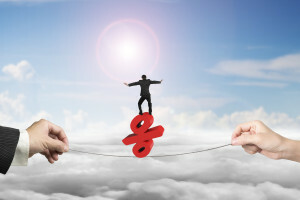 Being balanced means keeping the proper allocation between assets based on a portfolio’s mandate. To strike and maintain this balance, it is vital that risk not be evaluated within one asset class independent of the rest of the portfolio. For example, while the risk of loss for bonds may increase if rates are hiked, a rate increase may be a sign that the economy continues to strengthen. This is a positive for stocks. Investors who focused only on interest rate risk and shunned bonds ahead of the recent rate hike in December found themselves out of balance when volatility picked up in January and February. This imbalance can lead to tremendous discomfort for most investors, which leads to emotional decisions and inferior outcomes. Economists and other market participants demonstrate time and again that they are awful forecasters. Look no further than the dot plot referenced previously. 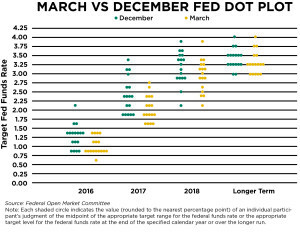 Three months into a 12-month forecast, the Fed had to cut its prediction in half. Is there reason to believe this new attempt will prove more accurate? I suspect not. Let’s say for the sake of argument that you know with absolute certainty what the pace of hikes will look like this year. Could you profit off this information? It would be far from a guarantee. How many of those that correctly predicted the December rate hike also predicted domestic bonds would outperform the S&P 500 handily over the next three months?